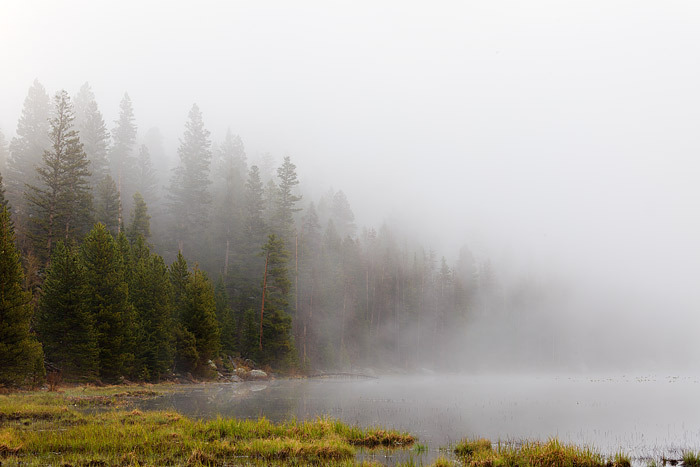 Mist and fog swirls through the trees along the shores of Cub Lake in Rocky Mountain National Park. The eastern facing slopes of the Colorado Rocky Mountains are typically drier than those on the west side. Because of this, oppurtunities to photograph dynamic conditions such as these present at Cub Lake are not as common as one might think. Photo © copyright by Thomas Mangan.